For most people, a retaining wall is nothing more but a way to keep soil locked in and ensuring that it does not spill out. However, there are a creative few who understand that this wall is actually the chance to show off some creative skills. 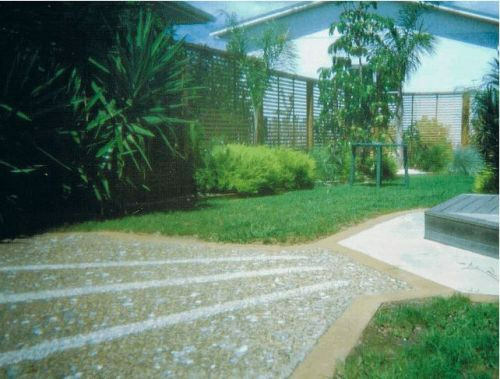 A retaining wall in Brisbane need not be just about giving your garden area definition; it can actually be used to create spaces that will define your concepts of living. For instance, a retaining wall could also house your fireplace or grill or you could have rounded walls, creating beautiful niches for water features or even flowers. In case your land is such that it flows from a higher level to a lower, you could always consider terracing as an option, and this will not only create the illusion of space, but also allow you more chances to get creative. So while one level of your terrace could have flowers, another could have cactus, and yet another could have herbs and kitchen greens! Even if you are considering timber retaining walls in Brisbane, you would have plenty to choose from. As a matter of fact, these days, when it comes to material for retaining walls, the options are innumerable and you will be able to choose from a range of ready made materials. However, there are a few things that you need to keep in mind, while putting in a retaining wall, and ensuring a proper foundation is one such thing. In addition, you should also take care of putting in proper drainage system.